As of this writing, I am responsible for the e-commerce activities of two sites that run on the WordPress content management system platform. I’ve taken vastly different approaches with these two sites. This post will explain how I manage online stores with multiple products both physical and virtual. MolkkyUSA.com is a site where we sell a physical product along with a few optional physical products. I set this site up using e-junkie, because relatively speaking, it was quick and easy and didn’t require me to have an SSL certificate for the site. Basically, you manage all the e-commerce activities including affiliate sales programs from the e-junkie site. Then, you just paste code snipits into your WordPress site to power buttons that add items to the cart and display the cart to complete shopping. With e-junkie, you create the catalog of items manually just as you would create any other WordPress page. Knowing a little HTML and CSS is pretty much required to make the pages look nice. Figuring out where to paste the aforementioned code snipits can be a bit tricky when you are starting out. 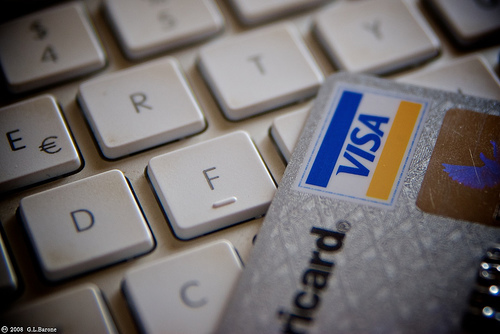 During the checkout process, you can select from many payment gateway options. We choose to use Authorize.net because we have our own credit card processing agreement with a bank. You can, however, set-up a PayPal account and be up and running in a matter of days. I have found the shipping options with this solution to be a bit limiting, but we’ve found ways to work around the limitations. e-Junkie pricing starts at $5/month. This does not include payment gateway fees and credit card discount rates. On ColorMetrix.com, we make use of the full-featured shopp plugin for WordPress. I found the learning curve for shopp to be extremely steep but worth it. With shopp, pretty much everything related to e-commerce happens on your site. All your products and services are stored in a database. Your sales transactions are also retained in a database (with the exception of credit card information). Because you are handling sensitive customer information for short periods of time, an SSL certificate is a must when utilizing this solution. Once you set-up shop and add a few items to your store, you are ready to go. Just visit the page shop created during plugin installation and you have a store. This is a huge advantage of e-junkie. When you only have a few items like Molkky, setting up the catalog page is a breeze. When you have even a dozen, letting shopp take care of it for you is highly advantageous. Another advantage of shopp (at least with the Authorize.net payment gateway) is that your customers never leave your site. You retain control of the entire shopping experience, as well as the look and feel of the pages. Shopp supports many payment gateways options and this may not be the same for each gateway. In addition, shopp supports multiple shipping optional add-ins. We utilize Fedex for shipping and can provide our customers with exact shipping costs for each Fedex service level during the checkout process. Shopp costs us about $100 to purchase with all the modules we needed. I have found this investment to be well worth it. Overall, I like shopp enough that sometime this year I will be converting the Molkky store. I’ve also learned enough that I am going to have a designer tweak some of the many CSS options that shopp provides (something like 200 tags). E-commerce is probably the most non-trivial task I have ever taken on in the online world. Those shopping sites you love deserve a great deal of respect. Those you don’t love – if they are small companies and have the products you want and the solution works – maybe you should cut them some slack. Jim Raffel is the CEO at ColorMetrix Technologies, LLC a company he co-founded in 1996. Jim earned a B.S. degree in Printing Management at Rochester Institute of Technology in 1986. After graduation Jim worked as a quality control manager assisting in the start-up of two 8/9 unit web presses. Jim then engaged in two years of independent consulting while developing an early version of the ColorMetrix software. The consulting assignments were diverse and took Jim to places as far away as New Zealand. Next, came a position as a special projects manager with a large web printer. Jim worked on and managed projects related to quality and productivity enhancement through the use of technology. One project alone added over two million dollars to the company bottom line. During this same period Jim earned an MBA from Keller Graduate School of Management in 1994. In addition to managing the day-t0-day operations of ColorMetrix Technologies, LLC, Jim writes daily at JimRaffel.com with his unique inspirational storying telling public speaker and small business CEO perspective.